Some of those foolish enough to sign up for the Mars 2025 mission may find this a tad too extreme. Who wouldn’t dream to live the rest of their lives stuck in close quarters with Elon « minisub » Musk? 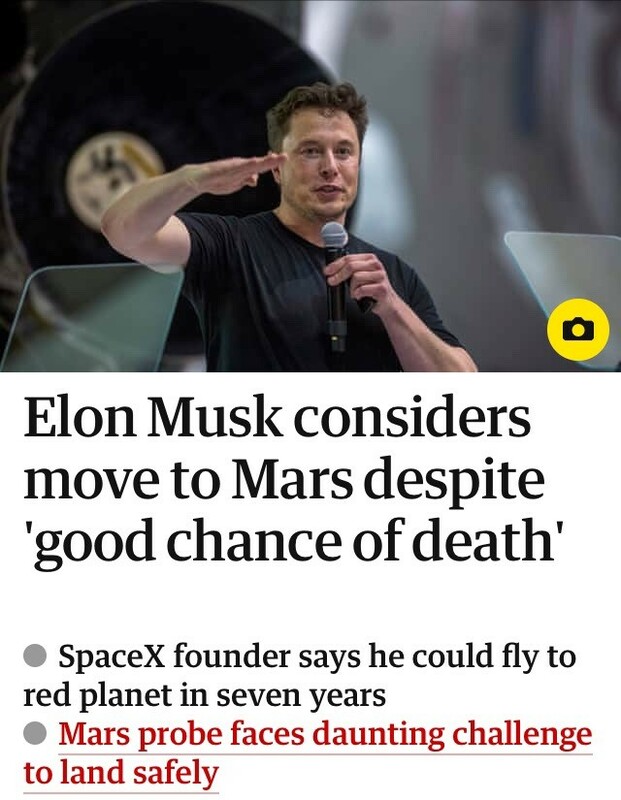 Breaking news on second week of mission: Elon Musk accidentally ejected through airlock. No technical faults were found after inspection of the airlock.